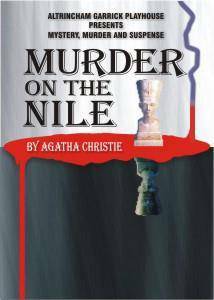 Set in Agatha Christie time on a luxurious, traditional Nile steamer we are once again caught up in tangled motives, hidden agendas and crime… Who is the perpetrator? And will you, the audience, solve the mystery before the passengers? A must for all Agatha Christie lovers.